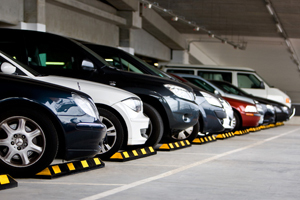 All property owners understand the risks of cars and trucks speeding through their premises. Our speed bumps ensure all measures are taken to reduce this risk. By using a 50mm high speed ramp you protect people and property, making sure traffic speed is reduced to less than 10 mph. 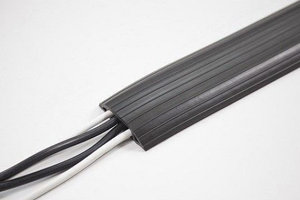 The complete speed bump kit includes mid-sections, end-caps and fixings.All of our speed bumps and speed ramps are made from a 100% recycled solid rubber compound to guarantee longevity and durability. 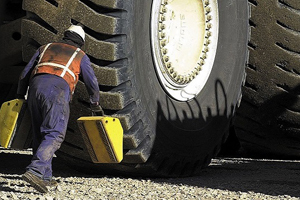 The 50mm and 75mm speed bumps have a weight capacity of 20,000kg. 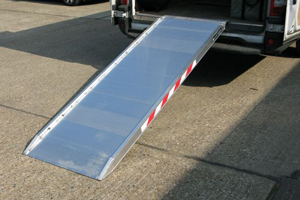 All our speed bump mid-sections have reflectors fitted as standard. 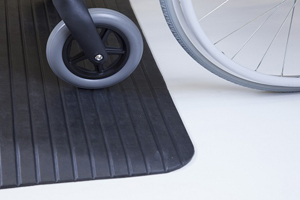 The 75mm high speed bump is ideal for traffic calming in residential and low traffic areas. 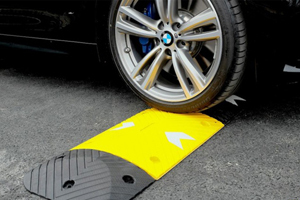 The slightly lower 50mm high yellow and black sections provide you with a highly visible speed bump to make sure traffic speed is reduced in areas where there is a lot of traffic, areas with children at play and high volume traffic junctions. 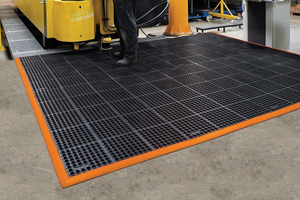 60mm high steel reinforced speed bumps are for areas where there are lorries or articulated lorries, very high traffic areas. 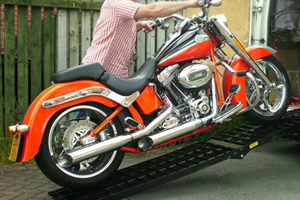 If you are unsure about which ramp to choose or have any questions regarding pricing or availability, please don't hesitate to contact our sales team for friendly and helpful advice. 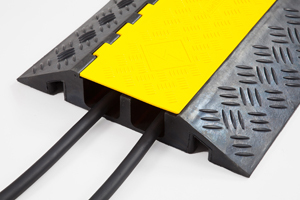 Our speed bumps are made from high density recycled rubber and painted in yellow and black, with a light reflective chevron on each middle section showing direction flow for approaching traffic; these markings make them highly visible at night keeping your roads and lanes safe day or night. 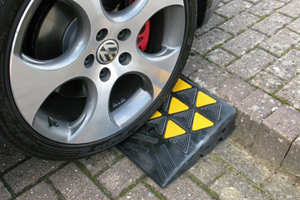 We have a wide range of speed cushions and speed bumps available that are designed to fix directly onto both concrete and tarmac; you can also purchase additional sections to add on as needed creating your desired length. 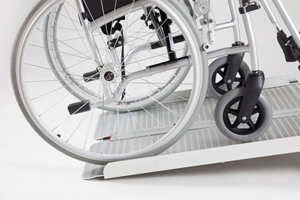 Our speed cushions are lightweight and durable, built to order with a total length of 2000mm. We also have speed signs and speed limit signs for sale that can be wall mounted to warn of speed limits and speed bumps; we also sell sign posts so you can display your sign wherever you need.